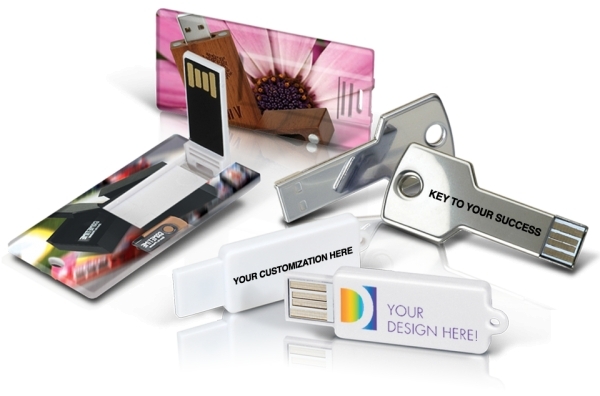 One of the hot new products CD Solutions offers is a USB Weblink device. These handy little keys can be used as handouts at trade shows, mailings, or any other time you have an opportunity. The keys look like a USB drive but when they're inserted into a computer they simply take the user to a predetermined web page, no matter how deeply the page is buried in your website. This makes it very easy to track your results from trade show handouts or to create special offers for customers. By hitting specific pages on your website they're similar to a QR code on your smartphone. They have no usable memory in them. They're programmed to take the user to a specific webpage of your choosing. Since there's no usable memory in them, they're cheap! Because they take the user directly to your website the information on that page can always be kept current. No more outdated PDF files or information. Drive the prospect directly to your website where you have the best chance of turning a prospect into a customer. You can use them in direct mail promotions taking prospects to exactly the items you want to show them . Or use them with your investors to take them to your End of Year Reports. Use them to promote new Product releases. They can be used in direct mail campaigns and because they're "cool" you can expect a better response rate and bypass the trash can. The uses for these is limited only by your imagination and the power of the Internet. How about a business card that takes someone directly to YOUR personal page on YOUR website? You can use this to tell them about yourself, or to offer them special promotions , or just to take them to your company's general website. It's all up to you but one thing is for certain, the person you give this card to probably can't help themselves but put it into their computer and see what happens. 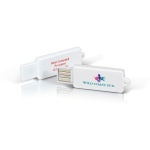 We even have PAPER USB WEBKEYS that can be used in standard mailing promotions. Paper Webkeys work perfectly with printed materials and are the ideal way for mailings to bridge the gap between paper and your digital marketing efforts. You can link your printed materials directly to a web page or dedicated source for your marketed product. While normal marketing captures your prospects attention, it doesn't give you any feedback as to how much interest there was in the marketing piece, demographics, or lead them to the next action step. With Paper Webkeys you know your marketing is working and your dollars are being well spent. eKey-Plastic Use this simple looking business card to direct people to a specific page on your website. It can be a personal page about yourself, a specific product, or anything else you can put on your website. Great for focused sales efforts. Real Estate agents love them because they can keep their hottest properties in front of buyers for example. These cards get peoples attention like no other business card can! eRectangle Use this simple looking business card to direct people to a specific page on your website. It can be a personal page about yourself, a specific product, or anything else you can put on your website. Great for focused sales efforts. These cards get peoples attention like no other business card can! eBusiness-Card Use this simple looking business card to direct people to a specific page on your website. It can be a personal page about yourself, a specific product, or anything else you can put on your website. Great for focused sales efforts. Real Estate agents love them because they can keep their hottest properties in front of buyers for example. These cards get peoples attention like no other business card can! eCreditCard Use this simple looking business card to direct people to a specific page on your website. It can be a personal page about yourself, a specific product, or anything else you can put on your website. Great for focused sales efforts. Real Estate agents love them because they can keep their hottest properties in front of buyers for example. These cards get peoples attention like no other business card can! eKey-Metal Use this simple looking business card to direct people to a specific page on your website. It can be a personal page about yourself, a specific product, or anything else you can put on your website. Great for focused sales efforts. Real Estate agents love them because they can keep their hottest properties in front of buyers for example. These cards get peoples attention like no other business card can! Paper9x6 Use this simple Paper Webkey USB device to direct people to a specific page on your website. It can be a personal page about yourself, a specific product, or anything else you can put on your website. Great for focused sales efforts. 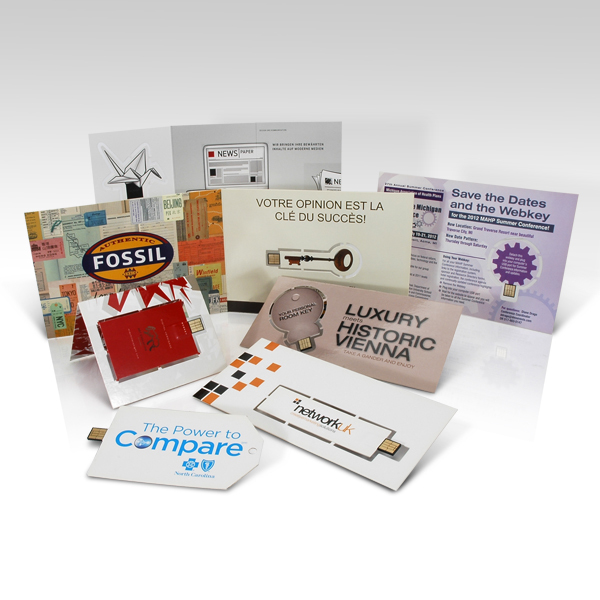 These Paper Webkeys work perfectly with printed materials and are the ideal way for mailings to bridge the gap between paper and your digital marketing efforts. Paper8x4 8 1/4" X 4" paper webkey. Use this simple Paper Webkey USB device to direct people to a specific page on your website. It can be a personal page about yourself, a specific product, or anything else you can put on your website. Great for focused sales efforts. Paper5x3 5" X 3" paper webkey. Use this simple Paper Webkey USB device to direct people to a specific page on your website. It can be a personal page about yourself, a specific product, or anything else you can put on your website. Great for focused sales efforts. Paper8x5 8" X 4-3/4" paper webkey. Use this simple Paper Webkey USB device to direct people to a specific page on your website. It can be a personal page about yourself, a specific product, or anything else you can put on your website. Great for focused sales efforts. Paper16x6 16-1/2" X 5-3/4" paper webkey. Use this simple Paper Webkey USB device to direct people to a specific page on your website. It can be a personal page about yourself, a specific product, or anything else you can put on your website. Great for focused sales efforts. Paper12x8 12-1/16"x8", or 4-1/4"x8" folded paper webkey. Use this simple Paper Webkey USB device to direct people to a specific page on your website. It can be a personal page about yourself, a specific product, or anything else you can put on your website. Great for focused sales efforts. Paper6x4 5 13/16" X 4" paper webkey. Use this simple Paper Webkey USB device to direct people to a specific page on your website. It can be a personal page about yourself, a specific product, or anything else you can put on your website. Great for focused sales efforts.